Anyone who shops at the Christmas Tree Store knows not only do they have wonderful Christmas stuff in the winter, they also have solid deals on suntan lotion, beach chairs, and lawn fertilizer in the summer. 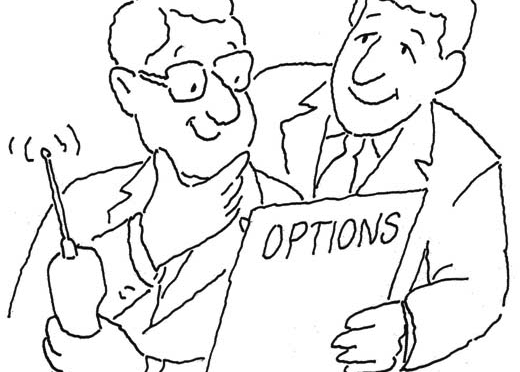 Like Christmas Tree Shops, in spite of our name "Option Millionaires" we aren't all about stock options. We've been one of the few out there, to actually call for this "irrational" upside in stocks. Irrational right? Only to those who didn't expect it, which is pretty much everyone. Last year you'd be hard pressed to find anyone saying the S&P 500 would be over 2000 this year. While everyone was prepping their fall out shelter for the big asset bubble to pop, JB was talking everyone off the "bubble" ledge at lower prices and called the move to over 2,000 this year. If you know Christmas Tree Shops, you are likely familiar with Big Lots. When the stock was at $26 earlier this year I said it looked to have a BIG rally coming. The stock went on to rally some $20+ offering up those BIG profits along the way. Sure the call options were hot, but simply going long the stock would have netted you a 60%+ profit on a boring retail stock. Not bad if I do say so myself. I think I'll be saying a similar thing about WFM later into 2015.... but what do I know. It's not all about trading for higher prices either. How about NUS earlier this year? It's one thing to spew the same nonsense over and over again until a stock finally moves the way you think it will. It's entirely another to say a stock will fall and two days later it drops 50% and becomes the most talked about stock on Wall Street. The NUS trade was a 50% move, that's one heck of a short trade. Or you could have bought the puts at $.60 and sold them for $60 a few days later. That's $600 into $60,000, not bad for a site that only used to sell little Elf earrings and Mrs. Claus Scarfs. NFLX and APPL, two very popular stocks these days that no one wanted to buy at some point. NFLX was sitting in the $50's when JB was saying the value was there. AAPL was down in the $60's when the analysts were busy downgrading the stock and stating no growth lied ahead. Today both stocks have soared to record prices, with $NFLX soaring to almost $500 a share. Wow. After we wrote about NFLX and AAPL Carl Icahn himself opened up positions in each. I'd say that is some prescient stock picking. This past week in the chat room talk was circulating about $WAG... guess who is rumored to have scooped up some? Mr Icahn himself. $WAG spiked high Friday morning. Perhaps he lurks in the chat room? We'll never know for sure. I just want to make it clear that we aren't just stock options. While most of our trades are via stock options, a strategy going long or short stocks would work out great as well and be more risk friendly for those who can't stomach the daily gyrations of stock options. We've had some great pieces on the blog over the year. The "to infinity and beyond" comments you see on CNBC and other publications? We were saying it long before it became a common term. The VIX? We were on that too. and today's record prices? Not many saw them coming, but since accepting the fact that this centrally planned charade won't end anytime soon, we've been calling for upside to continue.... and it has. Want to see what its all about? email optionmillionaires@gmail.com for a free trial. Tell them Carl sent you. Previous PostSaturday Morning Reads – 9/6/14Next PostIs Low Volume KEY to the Market Rally?